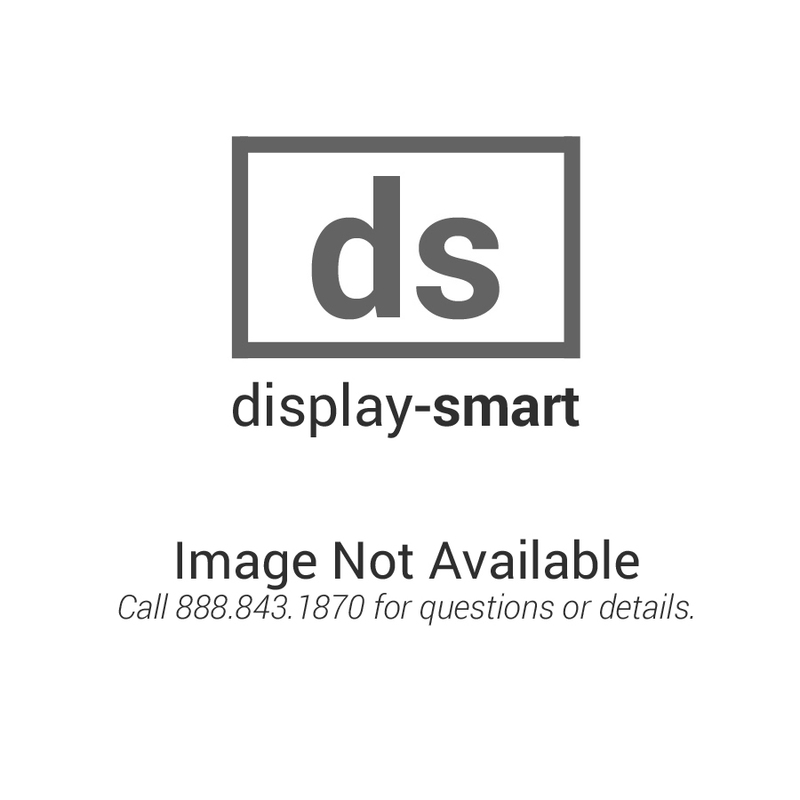 The unique octagon design of this Contemporary Full Vision Octagon Display will add style to your store as well as make it possible for you to showcase larger products that take up a lot of space. 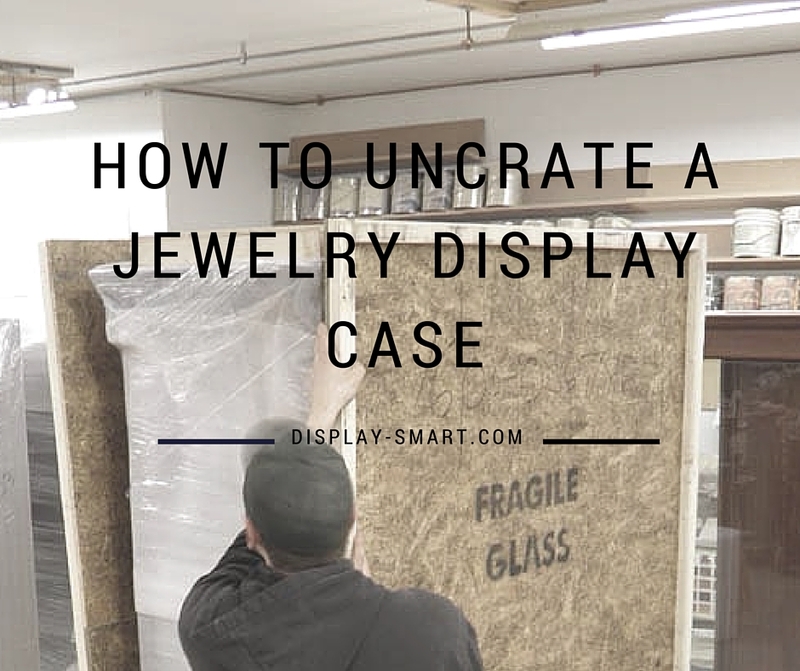 This jewelry display case is a perfect display case for vases, a display case for fishing rods, or a display case for swords. 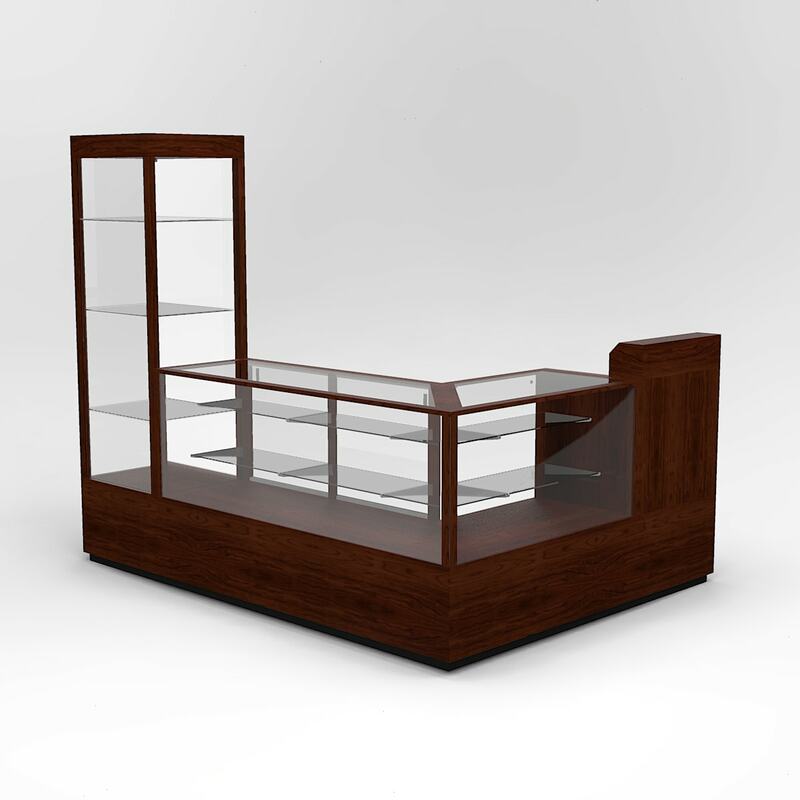 This large display cabinet measures 60” wide x 22” deep x 38” high. The sliding doors with a lock have top quality runners and doors. The two adjustable glass shelves can easily be removed to accommodate displays that are very tall. Lighting on this octagon full vision case may be ordered with fluorescent or LED lights. Storage makes keeping current and future items to display organized and all in one place. 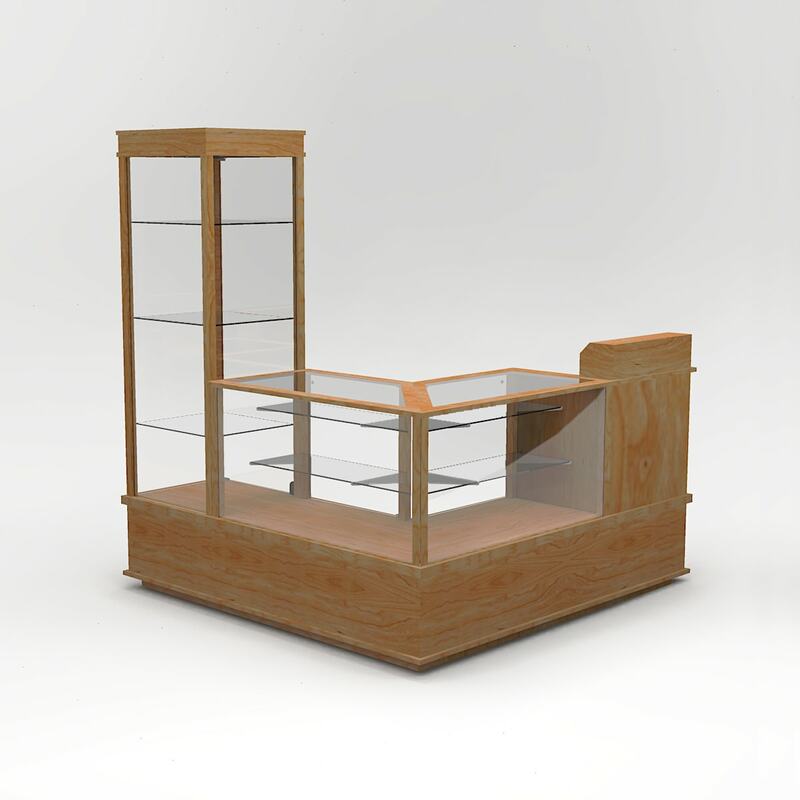 This contemporary octagon jewelry display case can be made to match the current look of your store. You can select the wood, stain and lighting to add to the current design of your store or to create a look that is brand new. 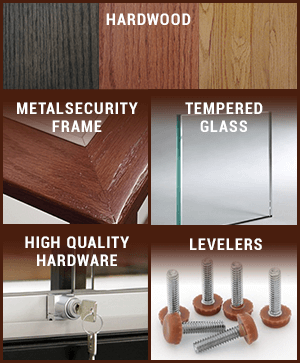 Our finishes page will explain all of your options in more detail. 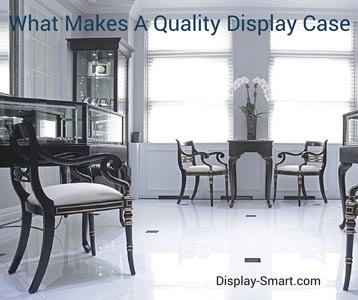 A clear coat finish comes with every case we sell at Display-Smart at no additional cost to you. Display-Smart ships nationwide including to the following cities: Waterbury VT, Merton WI, Homecroft IN, Upton KY, and Tiffin OH.